My age is 27 and my partner age is 30. We are trying from last one year. Last year I had an abortion..after my abortion it is difficult for me to conceive...after the abortion I am suffering from scanty periods, only for 1 day:(..I am taking homeopathy medicines from 5 months..but no result..my period problem is still same...plz help me. My first advice is for you to chart your cycle. This will tell you if you are ovulation. I encourage you to download my FREE Guide To Fertility Charting And Natural Conception in order to learn how to detect your fertility signs. If ovulation is irregular, the endomaterial lining will fail to develop normally, affecting your menstrual flow. Having scanty menses can mean many things, but hormones need to be checked out by your doctor in order to know what is the real cause. For example, anovulation due to low thyroid hormone, high prolactin, high insulin, and high testosterone level may all cause scanty menses. A spontaneous abortion (miscarriage) affects different women in different ways. Some women need time to come to terms with the loss and may experience anxiety or depression following the event. This unbalanced mental and emotional state may affect the hormones and consequently the menstrual cycle and the periods even if there are no significant physical symptoms. After having had an abortion or miscarriage, it may take a few months to restore hormonal balance and have normal periods again, but every woman and every case is different and individual attention is necessary. 1. In case of very early miscarriage, the periods may start the following month as usual. 4 to 6 weeks. This is usually the case for a first trimester abortion or miscarriage. If the menstrual cycle was irregular before the pregnancy loss, it will take longer to re-establish. It is possible that it may take up to 3 months. 3. If a D&C was performed after the miscarriage, the menstrual cycle, under normal circumstances, is expected to return after one month. 4. In case of an abortion where a D&C was not performed, it will take longer for the flow to return. This time may vary from 6 to 8 weeks. 5. If the pregnancy loss was a stillbirth or the pregnancy, the period may take 3 months to resume its regularity. 6. In very rare cases, if the D&C procedure was done too aggressively, the menstrual periods will change dramatically from how they were previously. This is called Asherman’s syndrome and develops as a result of a vigorous curetting during D&C. The risk increases with multiple abortions. Scar tissue or adhesions form inside the uterus causing scanty menses or even secondary amenorrhea. 5. Do Castor oil packs and self fertility massage to help break up adhesions. 6. Use enzymatic therapy like Wobenzym to help break down scar tissue that may prevent healthy menstrual flow. I hope this helps you. If you need more help do not hesitate to ask. I did a D&C for more than five years now I use to have my period for 5 days but it had become 3 days and Scanty too. Waiting for ur reply. Age: being over 40 and beginning to have scanty periods and shorter cycle is a sign of perimenopause. This is due to hormonal fluctuation. Diet: people who follow a very strict diet can have scanty periods. Stress: those who are going through a period of stress for whatever reason do experience change in the hormonal levels leading to scanty periods. You may need to consider you case and talk to your doctor about the possible reason for that. I may also be normal. 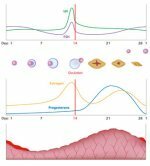 If you are TTC, make sure to chart your cycle and see if you are ovulating. The best way to approach is often to consider doing a fertility cleanse in conjunction with self-fertility massage. This easy to learn at home technique helps increase blood circulation to the reproductive organs: ovaries, uterus and fallopian tubes. I did abortion last year june and started having scanty menses and this year I had miscarriage twice with the scanty menses, could it be the scanty menses dat is causing the miscarriage? I would recommend talking to your doctor regarding your specific situation because the causes of miscarriage can be many and every woman is different. In most situations poor hormonal balance is the cause. Low progesterone can cause recurrent miscarriages due to short luteal phase. Scanty menses are often related to endometrial dysfunction, estrogen imbalance, PCOS, and even stress. Have had 3 d&c in d past with d most recent being last year december. Ever since then I hav had regular menses till august when I suddenly experienced that my period Was late for about 8days. I met a doctor who said it was as a result of infection and I was treated. The following month it came as expected but in october it was late with about 4 days. What could be wrong? Though hv been passing through some emotional stress for Sometime now. Stress does play an important role in ovulation. When women are stressed they tend to ovulate later. I would recommend charting your cycle. This is the best way to know if and when you ovulated. There are many things that affect ovulation, like drinking alcohol, having a cold or the flue, travelling by plane, stress, change in temperature and weather, going on vacation, etc. A 4 day delay is normal. Could you be pregnant? The next thing to consider is hormonal balance. If this persists, talk to your doctor. I had an abortion about 6months ago and my period hasn't been as heavy as it used to be. It has become scanty and it is giving me worries. My menstrual cycle ranges between 26-30 days but my period is still scanty and sometimes I have brownish discharge. I am worried that my scanty period my affect child bearing. You may want to consult with your doctor and have some tests done if necessary to assess your situation. It is possible to have a slight hormonal imbalance after miscarriage. If everything is all right, you may simply need to nourish your reproductive system with a healthy diet rich in fertility foods. There are many holistic therapies that can help you. I would recommend looking into fertility yoga, self-fertility massage, herbs, homeopathy or acupuncture. Some women chose to follow a fertility cleanse after miscarriage to help the body have a fresh start. Since multiple abortions, my menses has become scanty. For more than four years now. It is very normal to experience hormonal changes after a pregnancy that ends in a miscarriage (spontaneous abortion) or one that is terminated out of choice (induced abortion). It the loss of pregnancy is spontaneous, it is a very good idea to consult with a doctor and have a complete fertility check up done with tests that may be able to point to the reason of this. The body should normally return to a normal state within 6 week with a maximum of 3-4 months. If a woman has had repeated D&Cs after multiple abortions, scar tissue or adhesions can form inside the lining of the uterus. This situation may result on scanty menses or even missed periods. Consulting with a gynecologist is always best. Things that women can do at home to help are cleansing, self-fertility massage and castor oil packs. I was having scanty mestruation, and I keep trying for pregnancy. I am now 20weeks pregnant. My question now is, I hope the baby will be healthy with the condition he came out from? Your baby will be just fine! Make sure you take very good care of yourself and nourish your body with excellent food and nutrition. Remember, the body knows how to heal itself and does a very good job of it. Many women during pregnancy take prenatal vitamins with herbal remedies for pregnancy like TeaforTwo. 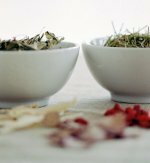 This tea helps tone the uterus and provides nutritional support. Talk to your Doctor to make sure this is Ok for you.